Could a Triple Crown winner be enough to lure Bruce Springsteen to play at Monmouth Park? Now that American Pharoah’s owner, Ahmed Zayat, has chosen the Aug. 2 Haskell Invitational Stakes at Monmouth Park for the colt’s next start, he’s already set to plan the rest of the day’s entertainment. 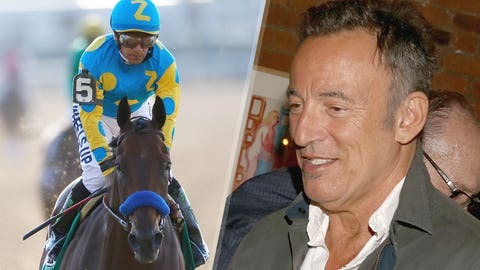 Zayat said at the announcement that he was planning to approach New Jersey native Bruce Springsteen about performing at Monmouth on Haskell day. Zayat feels confident Springsteen might be interested. "He’s a Jersey guy," Zayat said. "Monmouth is a beach town, geared to a younger crowd. It’s a party." Springsteen’s song "Born to Run" is traditionally played during the post parade before the Haskell. Zayat would like him to perform it live. Zayat may have more working in his favor than just the town’s festive atmosphere. Springsteen and Zayat have something significant in common: they both own champion horses. 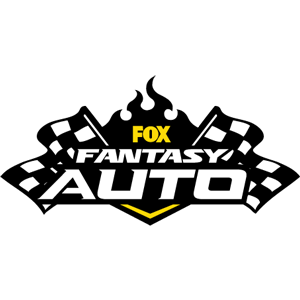 Want more news from the track? 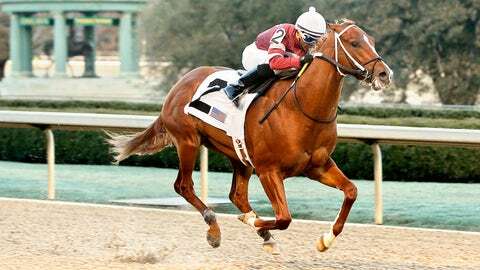 Saddle up with America's Best Racing for all you need to know about the ponies. Springsteen is the owner of Vindicat W, the horse who won the gold medal for the British equestrian team in showjumping at the 2012 Olympics. He purchased the horse shortly after the gold medal win so that his daughter, Jessica, could train on him. In 2012, Jessica was an up-and-coming equestrian rider. Today the 23-year-old is riding in top-tier events. She plans to compete in Chantilly, France, next week in the Longines Global Champions Tour. Because of his daughter’s involvement in the sport, Bruce Springsteen has a lot of respect for those who competitively ride horses. When asked about the differences between riders and rock stars by The Chronicle of the Horse, Springsteen said that nobody notices a rock star’s mistakes. "Musicians always get to sing it again," Springsteen said. "Riders get one shot."